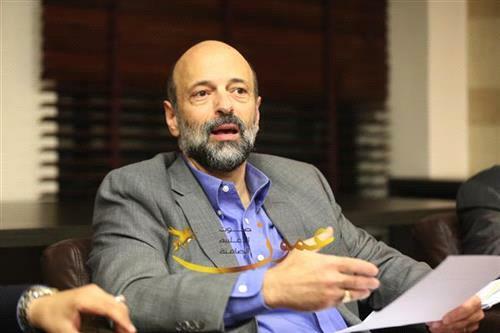 AMMONNEWS - Prime Minister Omar Razzaz, Sunday morning, stressed Jordanians can encounter difficulties and seize the opportunity to step to a better situation, especially in the economic and service sectors, pointing out that in few weeks the government will announce new measures to solve all issues affecting the daily lives of citizens. In a radio address, broadcast early this morning, the prime minister expressed the government's commitment to meet citizens' legitimate demands including the fight against tax evasion, no room for corruption complacency, improving the quality of services and providing jobs. I would like first to thank all our national broadcasters, who always make the citizen's voices, ambitions and aspirations heard, and allow us to take them in our considerations and further reflect in our thinking. Let me start with the fact that we all realize and feel that our country is going through a challenging economic hardships, reflected by the turbulent political circumstances the whole region is also going through . Such circumstances, will definitely, cause frustration and sometimes pessimism, but we must not give up or lose hope, especially as we have solid pillars, namely trust in our Hashemite leadership, and the conscious of citizens, that have proved to stand hand in hand to overcome all the challenges. This gives me hope and confidence that we are capable of doing everything, facing challenges, grab opportunities that will, by God willing, move us to a much better situation, especially in the economic and service aspects. We began gathering citizens' complaints on their daily services, including education, health, transportation, and other living issues which have negative impacts on their living conditions . We also have commenced putting in place new procedures that we will be announced within few weeks, designed to solve these issues affecting citizens daily lives, he added. We will also start medium and long term programs, recognizing that not everything can be resolved in a glimpse, but we are determined to solve all our problems. Our citizen believes in the state of law, seeks the rule of law, wants to fight corruption, and also looks for a just tax law that does not equate the poor with the rich, but put the greatest burden on the rich and we will never tolerate corruption anymore. The citizen also wants to fight tax evasion, needs improvements in the quality of services, and have more job opportunities to support his family and build his country. These legitimate demands are our responsibility as a government, and we promise to fulfill them, he said, adding that but we deeply need to hold on to a glimmer of hope and not to sit idly by . These are the basis of our approach and goals we hope to accomplish with the help of you all . Wishing you a blessed morning.